Macarthur community groups are being encouraged to go solar and save on their power bills. Community groups in Macarthur are being invited to apply for funding under the Australian Government’s Solar Communities Program. 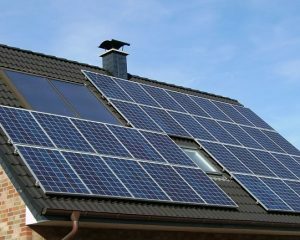 Liberal Senator for Western Sydney Marise Payne says funding is available for the installation of rooftop solar photovoltaic, solar hot water and solar-connected battery systems. “Community groups which get involved will not only help reduce their electricity costs, but also reduce demand on the electricity grid,’’ Senator Payne said. Statistics show that Australia has the highest penetration of rooftop solar in the world. One in five Australian homes has rooftop solar and an increasing number of small businesses are making the most of the financial and environmental benefits of solar. “This is a great opportunity for community groups in the Macarthur electorate, such as sporting clubs, scouts, welfare centres, surf lifesaving clubs and country women’s associations, to get involved,” Senator Payne said. “They can not only reduce their electricity costs, but also create their own power to supplement the grid. “Yummy Café at Ambarvale have already benefitted from the program, receiving almost $15,000 in funding under Round 1 in 2017,” Senator Payne said. Applications for Round 2 are now open and close on May 31, 2018 and guidelines are now also available. The program will be delivered by the Department of Industry, Innovation and Science, in consultation with the Department of the Environment and Energy.